On GiveGab, a giving day partner can now report use of donor advised funds, and manage these from their giving day dashboard. 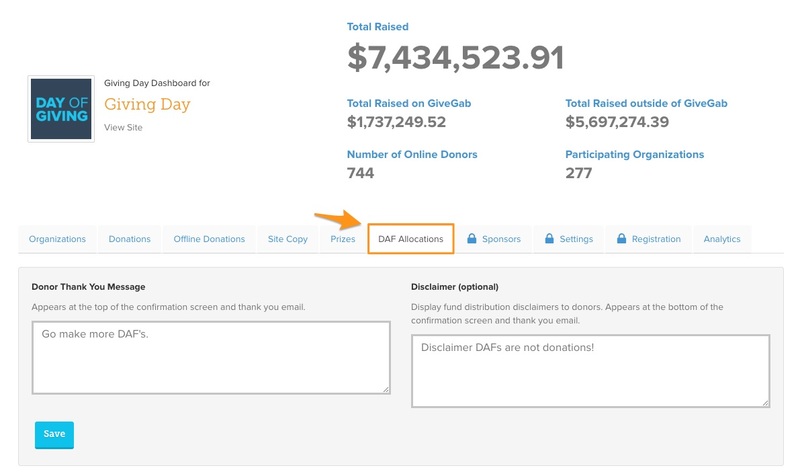 From the giving day master dashboard, you will see a new tab titled "DAF Allocations". 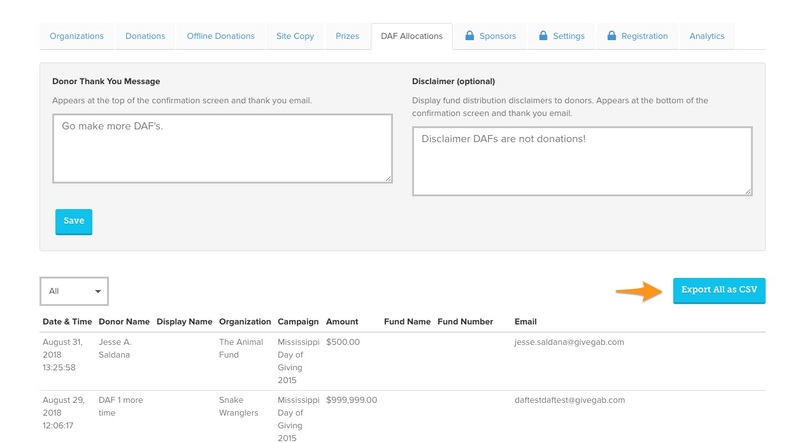 You will have the ability to write a Thank You message for donors, along with an optional disclaimer, which will show at the bottom of the thank you email. Below the Thank You Message and Disclaimer, will be all the DAF donations for your giving day. These can be sorted by the following statuses: All, Pending, Approved, Ineligible. If you have any questions, feel free to reach out our support team at customersuccess@givegab.com, or via the blue chat bubble on the bottom right!